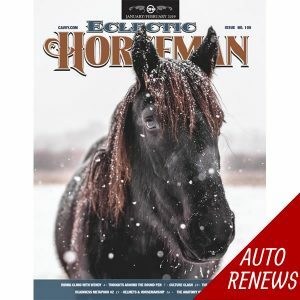 Eclectic Horseman, is the bi-monthly magazine dedicated to educating horse owners of all skill levels and disciplines. Eclectic Horseman is filled with solid information for horse owners of every skill level and takes a balanced approach to your education. * Descriptions from the best in the business. 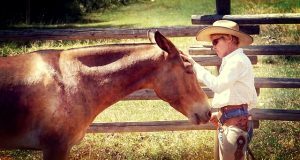 * Detailed step-by-step articles teaching readers how to perform specific tasks or accomplish certain goals with their horse. * Articles covering a variety of levels, one for beginners, one for more advanced riders. 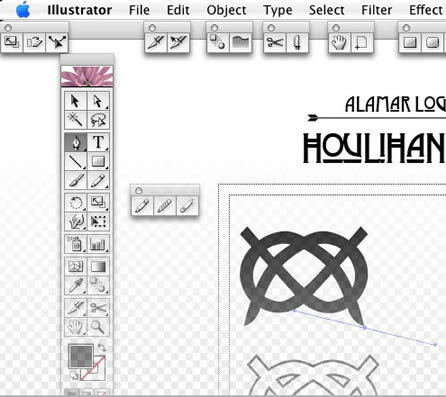 * Easy to follow photos layouts and diagrams for you to follow. 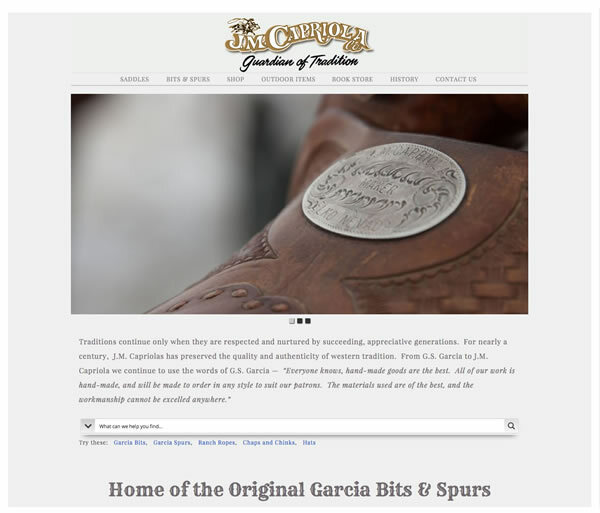 * Exploring how craftsmen create the equipment we use on our horses and ourselves. * Looking outside traditional understandings: biomechanics, body movement, holistic medicines. 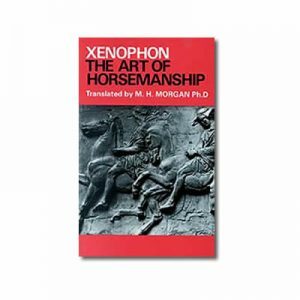 * Studies and reprints of ancient horsemanship texts to learn from the masters of the past. 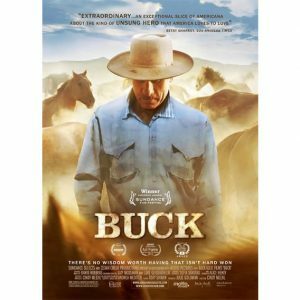 * Anecdotes from talented horsemen that teach a horsemanship lesson or experience. * Explanation of why horses have certain reactions and why some methods are more effective. * Stories that teach how to build a better relationship through understanding and communication. 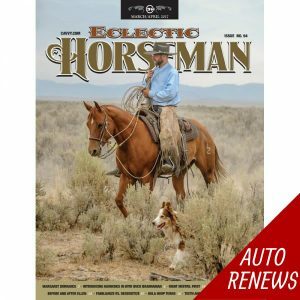 Note: The electronic version of Eclectic Horseman Magazine will be emailed to you on the first day of the its release date. (ie: The July/August issue will be emailed around July 1st.) Subscriptions are the same as the print version: one year / six issues. The PDF is screen quality and a read only file. We ask that you please do not share your electronic subscriptions. Fifteen dollars is not a lot to pay for the work that goes into providing solid horsemanship information. However, if you think emailing a single issue to friend might get them to become a subscriber themselves — then we here at EH welcome your kind support. I was looking for a magazine that would help improve my skills, training, and riding. I was very excited when I found this magazine after trying many other equine magazines(which all seemed to only be full of fluff pieces and ads). Each article gets you thinking about how to be better, and has many tips and tricks that I can apply. I always look forward to each Issue coming out! I have now received 3 electronic versions of this magazine, and I recommend it highly. I can print what I want and not have to recycle what I don’t want. 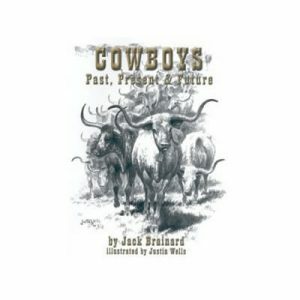 The articles are varied enough that a trail rider like me can find useful information even though I don’t spend much time in the arena. I also like that the trainers who write the articles are similarly gentle and thoughtful. I would recommend the publication to my clients who want to learn more. Last month, for example, I really enjoyed Deb Bennet’s saddle fit article and the links she sent me to to find more resources. I have received Eclectic Horseman from the day of conception. I even subscribe to Trail less Traveled that Emily was a part of. 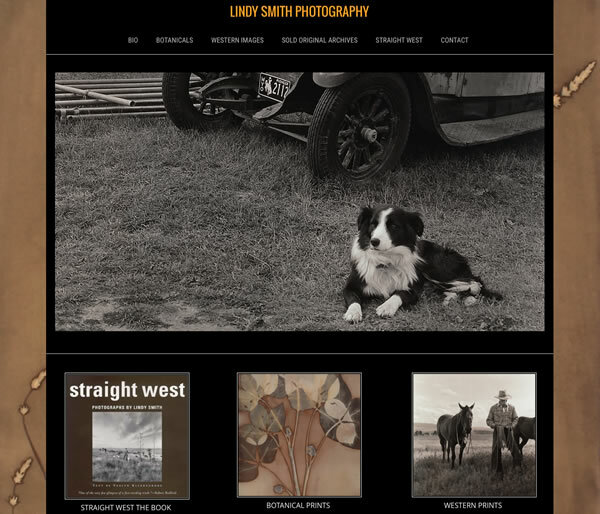 I knew right off that Emily’s desire was to provide a learning tool for those that were seeking information on how to work from where the horses is at. Best learning tool in my tool bag. Best gift to give a friend on the same path. Love this magazine. Full of information on many different horsemen, horses,training techniques, tack & more. What an awesome collection of knowledge to have & keep. I am very new to this method of training. The trainer I’m working with Lisa Fisher recommended I read Eclectic Horseman. The articles are great. Everything is easy to comprehend. The authors give simple straightforward information. The photos are also quite helpful. I’m a new subscriber to Eclectic Horseman and upon opening my first issue I immediately saw that this is an entirely different kind of equine publication from anything I’ve read over the past fifty years. 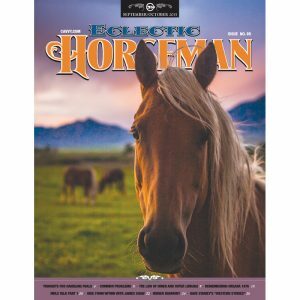 Eclectic Horseman is the kind of magazine you want to read cover to cover, like a good nonfiction book. The diversity of the contributors and the intelligent approach taken in each piece is refreshing and thought provoking. 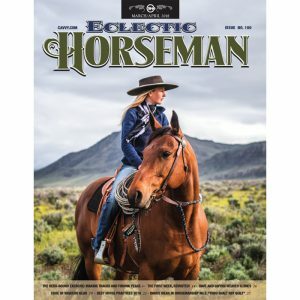 My only regret is that I hadn’t subscribed and been reading Eclectic Horseman for years. But I’m a subscriber now and I’m thrilled that this magazine exists. The equestrian world needs it, and our horses deserve it. I always look forward to my next issue of Eclectic Horseman. Lots of helpful information and advise for my horsemanship journey! I never knew this magazine existed until I picked up a free copy at a clinic recently. I read the free copy from cover to cover that same night and subscribed immediately. I appreciate the diversity of the content: clinic style pieces with photographs that advance my learning, historical information to build my background knowledge, and the big name contributors. In a predominantly male dominated industry, it’s also great to see a wealth of renowned female contributors in this magazine. When I see an email from Eclectic Horseman in my inbox I always read it. Thanks for all you do! I enjoy the electronic version of my Eclectic Horseman Subscription very much. 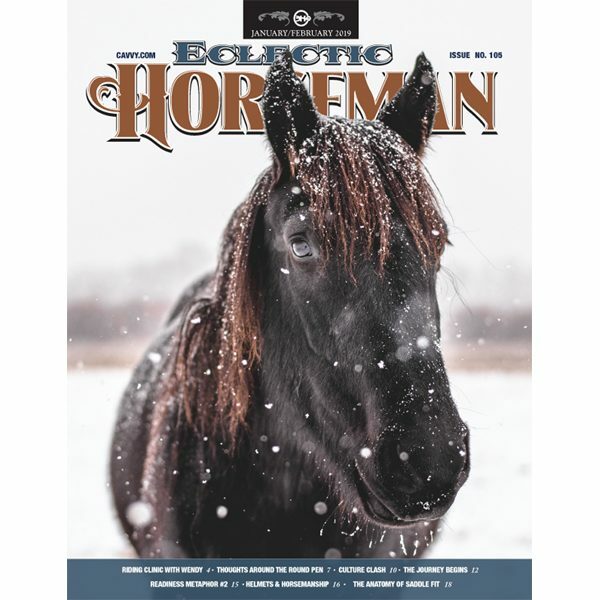 First of all, Eclectic Horseman Magazine is full of down to earth, real equine difficulties and successes, presented by trainers who know their topic well. I learn something from every issue. When I am finished with the print magazine, I just can’t bring myself to throw it away. That stack was getting taller and taller. I was hesitant to try the electronic version. I know horses better than computers, so I was afraid I wouldn’t be able to retrieve my Eclectic Horseman magazines if I put it away for later. I am happy to say that I have not lost or missed an issue yet. The directions to retrieve the issues are very good! I look forward to this magazine arriving in my mailbox every 2 months! Its full of interesting articles that i upload to my ereader and read on the train to work! Download = easy and the information is sooooo worth it! I learn new things every time! so happy to have this magazine! I love the digital magazine! 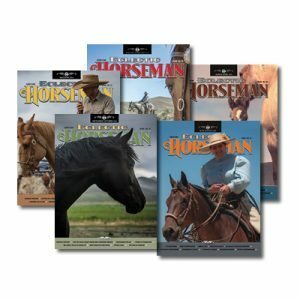 Great group of horseman and every issue is packed with helpful and well written articles. I happened to stumble upon the Eclectic Horseman from a Facebook post someone shared. Wanting to know more and further my equine and horsemanship I saw they had a magazine available. Purchased the digital version and am so glad I did! So much information and great for someone on a budget. You definitely get your money’s worth and more. This magazine is full of articles packed with useful information without useless fillers and fluff. Really good and informative articles in a handy format. I‘m reading the magazine on my iOS devices and they are looking very good. Download is also easy going! Always look forward to the new magazine! Lots of information, very interesting every single issue! I love having the convenience of the digital version! So much information at my fingertips!